This is the only way that you can upgrade the OS that is installed on your eMMC - It is a highly recommended peripheral. How to use this small board. – Connect the eMMC Module to the connector of the eMMC Module Reader Board - it snaps into place..
– Slot the connected boards into a USB card reader (not provided). Please choose a high quality USB Multi-reader. The data transfer speed of the eMMC is a lot faster than SD Cards. – Plug the USB card reader to your computer. – Note - the color of the board is subject to be changed without any notice. Designed for ODROID-N2 (inc microSD Adapter)Pre-installed with Android 9.0 (Pie) on the board -.. Designed for ODROID-N2 (inc microSD Adapter) Pre-installed with Linux Ubuntu 18.04 LTS MATE. 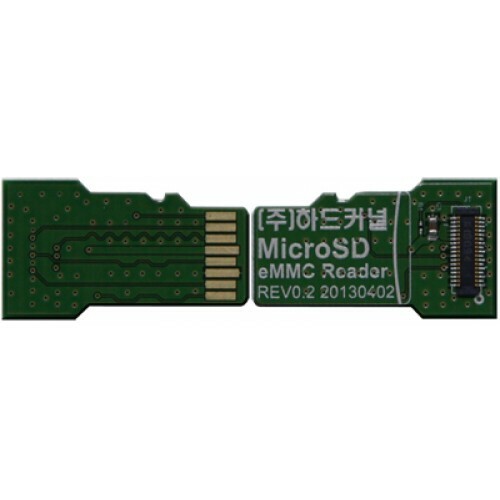 Re..
** NOT IN STOCK ** Designed for ODROID-N2 (inc microSD Adapter) Pre-installed with ..
** STOCK CURRENTLY UNAVAILABLE **Designed for ODROID-N2 (inc microSD Adapter)Pre-installed with ..